The “wrong” is pretty obvious. But, this is a classic example of framing. How can we flip this frame to be more brain friendly? Would that be worth the effort? 4% of $250 is (you guessed it) $10. Behavioral economics is all about how our brains interpret things – how your subconscious brain reacts to things and how that impacts your decisions. Why does 4% cash back sound better than “get $10 when you spend $250”? Loss aversion is one thing – your brain immediately latches onto the requirement of spending $250 and doesn’t want to give up that money. You start to think of all the other things you can spend it on or use it for (that’s a car payment! A really nice trip to the spa!) It feels like an added expense…instead of money you were spending anyway. That anchor is a huge hurdle that has been set in your mind now. It feels like anything less than $250 isn’t going to count. And, it implies $250 spending increments (which feels painful to the brain). 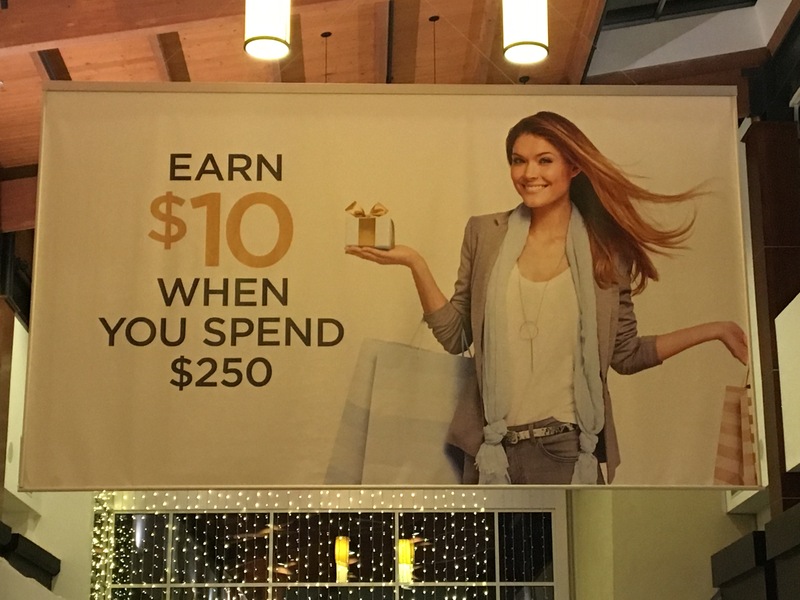 A couple of things they are doing right from a behavioral economics perspective are: clean messaging (not a lot of text overwhelming the brain) and having the $10 be in much bigger font than the $250 (which studies have shown implies to your brain that the $10 is BIGGER and $250 is smaller). Unfortunately, the gap is too much to overcome, and $10 just doesn’t seem like incentive enough to overcome the loss of $250. Reading up on the program, it is not structured to pay a percentage increment, but in my opinion it absolutely should (and, it would not likely cost them any more money to implement). I don’t know how many people have signed up for this (it looks like many malls use a similar program), but I think with a few tweaks it could be much more successful. So, if the folks at Spring Rewards want to reach out to me, I would be happy to have a conversation with you about making your really cool program more brain friendly (so everyone can win). What are your thoughts? I would love to hear them in the comments.